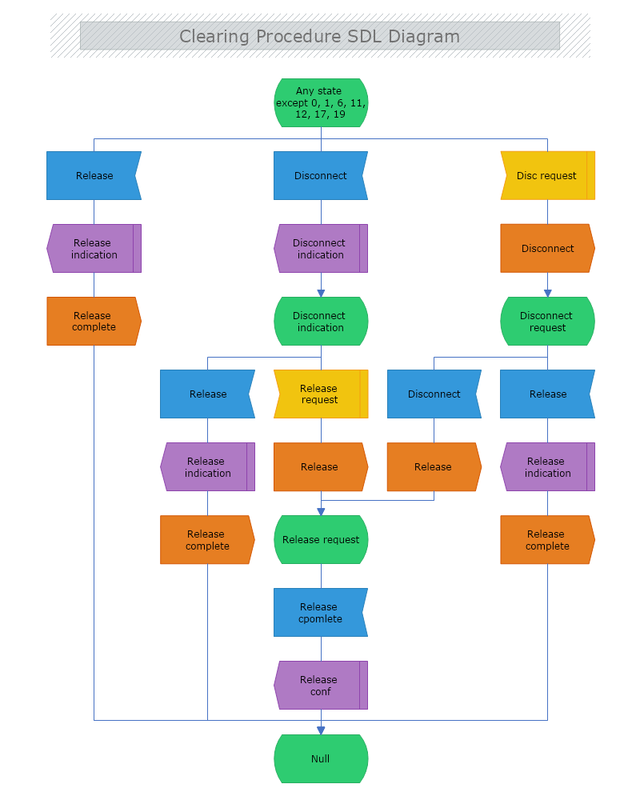 This is a SDL diagram of a clearing procedure. The template represents a phone line clearing procedure. It illustrating three possible scenarios and their following steps until the process is fully executed. Download this free template and modify it with MyDraw so it meets your needs and requirements.